British jazz stalwart Shabaka Hutchings has worked with Sun Ra Arkestra and Mulatu Astatke in the past, and is currently involved in three of his own projects: The Comet is Coming (who performed at Le Guess Who? 2016), Sons of Kemet, and Shabaka & The Ancestors, who perform at the festival this year, curated by James Holden. 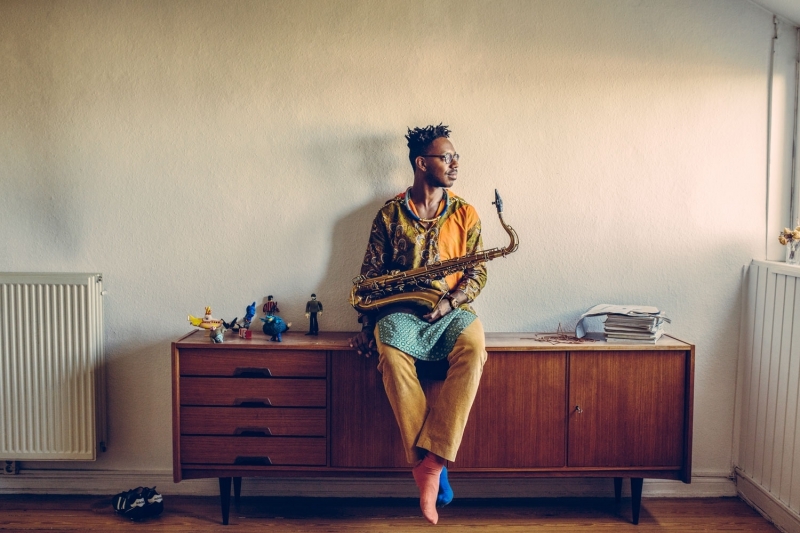 During UK festival A Love Supreme, Shabaka performed with all 3 projects during one single day, and was followed for a video portrait; watch that below. "Following him as he reflects on the thriving UK jazz scene and figures out makeshift instrument repairs in-between sets, this short film follows Shabaka Hutchings at his best: pushing live, open-ended jazz into new territories." Shabaka & The Ancestors are joined by a.o. Pharoah Sanders, Matana Roberts, Linda Sharrock, Han Bennink, Brötzmann/Leigh, James Holden, Mario Batkovic, and many more at Le Guess Who? 2017.